Lake George is 45 minutes drive from Albany NY (I-87). The southern end of Lake George is alive with events, cruise ships, arcades, mini-golf, wax museums, hiking and biking, shopping, night life & the famous Fort Wm. Henry Historic Museum. There are many wonderful accommodations, from cottages and cabins to motels, hotels and resorts and bed and breakfast inns. 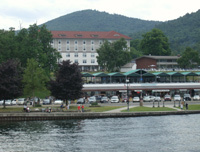 On your way back don't forget to check out the Lake George Factory Outlets. 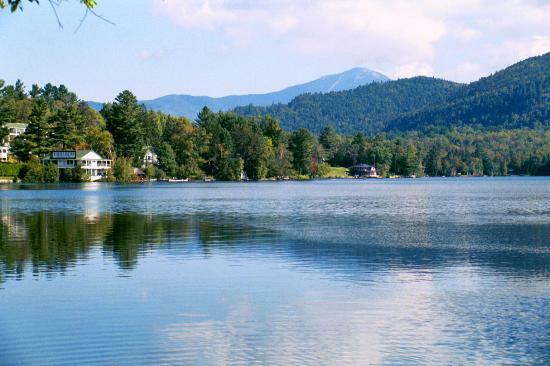 Lake Placid is 2 1/2 hours drive from Albany NY (I-87) featuring the best hotels, restaurants, museums, shopping, bars and more in Lake Placid. Ride the most scenic gondola in North America! The new 8-passenger Cloudsplitter Gondola takes you from the base lodge to the top of Little Whiteface in fifteen minutes. Adirondack Scenic Railroad with scenic train rides in the Adirondack Park from Utica, Old Forge, Saranac Lake and Lake Placid, New York. Howe Caverns is an hour drive located south of Albany NY. 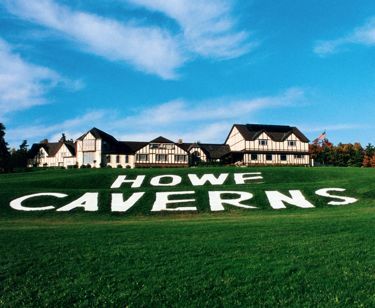 Howe Caverns is a cave in Howes Cave, Schoharie County, New York. The tour now lasts about 80 minutes and shows the majority of the cave. Visitors begin at the elevators and continue to the end of the Lake of Venus, which marks the end of Howe Caverns' property. Watkins Glen State Park is 3 and 1/2 hours drive in the village of Watkins Glen. Watkins Glen contains several small waterfalls, and is a really amazing place especially for those who like the sight and sound of rock and water. The main attraction are the trails through the Glen, particularly the gorge trail. 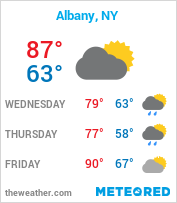 Would you like to tell a friend about AlbanyDesi.com?